Like Oprah, New Agers Roma Downey and hubby Mark Burnett now falsely claiming they’re Christians – why? Closely study reruns of “Touched by an Angel” and I’m sure you’ll find many heretical New Age views held by both Roma Downey and New Thought/New Age co-star Della Reese. There is much evidence that Downey is not a Christian as she claims, but a New Ager. Check out the following quotes from Downey, found here. I have emphasized certain points by bolding, and inserted comments in [brackets]. “It’s fantastic that [the Touched by an Angel reruns are] on GMC,” says Downey. “It’s reaching a whole new generation of people with its beautiful message of faith. I loved being on that show. I loved it. I loved playing Monica. I loved being the messenger, the believer. I loved being part of a message that went out weekly reminding people there is a God and this is God’s purpose for you and God will be part of your life and most importantly that God loves you. “I’ve been there, too, needing an angel — I can tell you. Over the years I’ve found myself wishing sometimes my angel would show up. [So Downey would want to communicate with angels? I’m not surprised. By the way, the Bible forbids communication with angels – this insightful pdf article mentions this.] I could use a little uplift, a little reminder. “It was very empowering in that way. It wasn’t some easy fix, because life isn’t filled with easy fixes. But when you pray and really trust and hand yourself over to God [notice she doesn’t mention repenting of your sins and accepting Christ as your Saviour], you know that God has you and holds you in his heart and in his hands. “You know there’s no better feeling. “If I were to look back at my career, I think my greatest achievement is very simple. So there we have it – a bit of Downey’s theology in her own words. As we will see in my various blogs about Downey, she is extremely New Age. Several questions: would she say in the previous paragraph her New Age beliefs “glorify God”? And how does she define “God”? For that matter, how does she define the label “Christian” which she applies to herself? Like I said, she is not a Christian like she claims, but a New Ager. I wonder how Downey’s beliefs would measure up, when it comes to this chart. In this comparison between the worldview of Christianity and the worldview of the New Age movement, I’m positive she would be New Age – if she were honest. For years, pastors in the EFCI and many other evangelical denominations have been New Evangelical/Emerging – often DOWNPLAYING/OMITTING the gospel message of “the Blood and the Cross” (except perhaps during Easter time) so they don’t turn off unsaved “seekers” and send them scurrying off to “less offensive” churches. Willard, McLaren, Sweet, Campolo, and other Emergents seem to be drawing New Evangelical/Emerging pastors (in the EFCI and elsewhere) further into apostacy, to become mainline/liberal/Emergent, to actually CRITICIZE the gospel message of “the Blood and the Cross.” Scary – and blasphemous. I went to work for an Episcopal church shortly after college… I think I finally understand how they think, how they can put so much emphasis on the kingdom of God (which they define as service to others) and virtually ignore the sinful conduct rampant here (‘wedding’ reception for a gay couple here next week). These people, my co-workers and friends, believe in an inner light, a True Self (I remember that term from class) that is intimately connected to the Divine. Everyone has this light, so we are all a part of God. As such, there is no need for a substitutionary penal atonement (i.e. the cross) because there is no separation to atone for. This teaching sounds almost identical to the teaching of the various non-evangelical Quaker denominations. Interesting. I have reposted Ken Silva’s entire blog below. Click here for the original site of this blog. Thank you for your website. I have been using it to further my personal study for some time now. It has truly been a blessing. I was raised in a Bible-believing church and home, saved as a child and a missionary as a teenager, so I was first exposed to this sort of emerging spirituality when I went to work for an Episcopal church shortly after college. The lead priest there (along with several others) routinely teaches courses covering all kinds of mysticism and contemplative spirituality. He invited me to attend one of his classes, so I did. Nothing he taught in that class made me feel comfortable, although I couldn’t put my finger on a reason. Several times in my notes, I wrote, “What about the cross?” Nearly two years have passed and I still couldn’t figure out why this place, my workplace, makes my spirit uneasy. The people here are loving and kind, they do great acts of service in the community. Yet there is something missing. Dallas Willard also addresses this issue in The Divine Conspiracy. Atonement-centered understandings of the gospel, he says, create vampire Christians who want Jesus for his blood and little else. He calls us to move beyond a “gospel of sin management” – to the gospel of the kingdom of God. So, rather than focusing on an alternative theory of atonement, I’d suggest we ponder the meaning and mission of the kingdom of God. I think I finally understand how they think, how they can put so much emphasis on the kingdom of God (which they define as service to others) and virtually ignore the sinful conduct rampant here (‘wedding’ reception for a gay couple here next week). These people, my co-workers and friends, believe in an inner light, a True Self (I remember that term from class) that is intimately connected to the Divine. Everyone has this light, so we are all a part of God. As such, there is no need for a substitutionary penal atonement (i.e. the cross) because there is no separation to atone for. It follows, then, that the only “sins” we commit are those that do harm to others (ergo, to God), which is why they can, without so much as a flinch, condone homosexuality but at the same time condemn those (like me) who fail to practice “tolerance” because we insist that there are such thing as moral absolutes. It is also why they can place acts of service (e.g. to the poor – extremely important here) above acts of evangelism (which display intolerance of others’ belief systems). Contrast this with my understanding of the Gospel of Jesus Christ, which is that we are born sinners, are separated from God, and are in need of a Savior to reconcile us to Him. I do believe in a “Punitive Father” but one who only punishes when rejected after repeated attempts to redeem us – and even then it is less punishment than letting us have our own way. To those that call out to Him, He is merciful and loving and wants to show us the boundlessness of His grace – but only to those who accept His gift of salvation. As I said, I’d been searching for nearly two years for a way to wrap my mind around what seems to be a warped – but strangely appealing – theological view. Your article made it fall into place for me. Thank you so much for your faithful service to God through your website. Could you elaborate on your personal theory of atonement? If God wanted to forgive us, why didn’t he just forgive us? Why did torturing Jesus make things better? This is such an important and difficult question. I’d recommend, for starters, you read “Recovering the Scandal of the Cross” (by Baker and Green). There will be a sequel to this book in the next year or so, and I’ve contributed a chapter to it. Short answer: I think the gospel is a many faceted diamond, and atonement is only one facet, and legal models of atonement (which predominate in western Christianity) are only one small portion of that one facet. I mean no disrespect to the late Dallas Willard. But the truth is, he was a major heretical impetus to Richard Foster’s writing of the bestselling, heretical Celebration of Discipline. Willard’s false teachings (as well as those of Foster, etc.) need to be exposed for what they were/are. A number of articles have been written about the “Inner Light/Inward Light” heresy of George Fox and the Quakers. I too am researching this; I have written blogs about Quaker heresies here, as well as reposting the articles and blogs of others. As Evangelical Friends co-pastors, Richard Foster and his Spiritual Formation mentor Dallas Willard taught the Quaker concepts of 1) the Inner Light (the light of Christ in every man), 2) direct revelation/immediate revelation/illumination, etc. Of course these teachings have been around for centuries (at least since the Gnostics I think). Many “non-evangelical” Quakers today believe in a “hybrid” of the Quaker Inner Light teachings and New Age beliefs (Christ consciousness, the inner voice, etc.). So how exactly do “Inner Light” Quakers believe God speaks to us? Let me illustrate. Suppose a Spiritual Director were to say to a nonchristian (who has never heard the gospel of salvation), “Go sit on top of a mountain, cross your legs and hold your hands up praising God. Engage in contemplative prayer, empty your mind, and then God can speak to you.” (Remember, this person has never heard the gospel, never read the Bible, has no concept of the Trinity, the Atonement, etc.) According to the Inner Light teaching, Christ is already in every man. (This is some mysterious presence of Christ – not the Holy Spirit.) So the person would supposedly receive direct revelations from God via the presence of Christ within him. Then – when he finally reads a Bible – it will line up with the direct revelations he received from God. The main problem here: the Inner Light teaching does NOT view God’s Word the Bible as the primary way in which God “speaks” to us. I came across an excellent article by Gary Gilley. His article critiques the “hearing God’s voice” teaching of Dallas Willard – Richard Foster’s former Evangelical Friends (EFCI) co-pastor and heretical mentor in Spiritual Formation. Gilley’s article has been reposted on some other major discernment websites. I have reposted his article below; click here for Gilley’s original article. I have emphasized certain points by bolding, and inserted comments in [brackets]. And I have made a few grammatical corrections, such as underlining the titles of books. Hearing God was previous published by Regal (1984), then by Harper (1993), and finally InterVarsity (1999) under the tital [sic] of In Search of Guidance. This updated and expanded edition is published under the Formatio wing of InterVarsity Press which offers numerous books promoting spiritual formation and “Christian” mysticism. At the heart of both spiritual formation and mysticism is God speaking beyond the pages of Scripture. For this reason Hearing God is an important book, written by one of the premiere leaders within the movement. That Willard is merely updating the same message he delivered nearly 30 years ago shows that the spiritual formation movement has not changed its basic teachings. And what are they? In essence, that we can live “the kind of life where hearing God is not an uncommon occurrence” (p. 12), for “hearing God is but one dimension of a richly interactive relationship and obtaining guidance is but one facet of hearing God” (p. 13). In other words, the maturing Christian should expect to hear the voice of God, independent from Scripture, on a regular basis and that voice will reveal God’s individual, specific will for his life. Such individual communication from the Lord, we are told, is absolutely essential because without it there can be no personal walk with God (pp. 26, 31, 67). And it is those who are hearing from God today who will redefine “Christian spirituality for our time” (p. 15). This premise leads to a very practical problem, however, one Willard will address throughout the book in many ways. The problem is, how does one know that he has really heard from God? Could he not be confusing his own thoughts, or even implanted thoughts from Satan (pp. 235-237), with the voice of God? This is even more problematic because Willard believes that while God can speak audibly or use dreams and visions, normally His voice will come as a “still small voice” heard only within our own hearts and minds. In fact, so vital is this “still small voice” that the author devotes his largest chapter to exploring what it means (chapter 5, pp. 114-153). Yet in all of his discussion on the topic, it never seems to dawn on Willard that the original “still small voice” to Elijah (1 Kings 19:12-18) was in fact an audible voice, not an inward impression or thought. Since Willard believes that God normally speaks to us through an inner, inaudible, subjective voice (p. 130) and that it is possible that God is speaking and we do not even know it (pp. 118-120), how can we be certain when God is speaking to us? In answer Willard boldly informs us that we can only learn the voice of God through experience (pp. 9, 19, 21, 63, 143). He clearly states, “The only answer to the question, how do we know whether this is from God? is By experience” (p. 218) (emphasis his). The author will use the word “experience” over 130 times, and equivalents hundreds of times more. The mechanics of learning the voice of God is detailed on pages 217-251 but ultimately it all boils down to experience. And until we have the experience it will apparently be necessary for those who have themselves supposedly heard from God to guide us. Without such help we may not be able to detect the voice of God (p. 221). Never mind that the Scriptures never tells us how, nor supplies techniques, to know when God is speaking, nor does the Bible ever tell us that we need to learn the voice of God. This is all pure fabrication on Willard’s part. As a matter of fact every time God speaks in Scripture it is through an audible voice, never through an inner voice, impressions or feelings, and that includes Elijah’s still small voice. 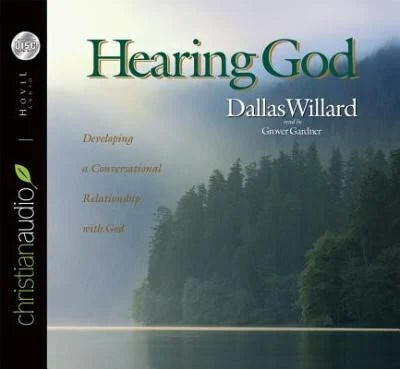 Willard is advocating a form of communication from God never found in the pages of Scripture; he then elevates this inner voice to the very essence of our relationship with God. He attempts to prove this not only through his own experience but also by the examples of others such as Ken Taylor, George Fox, Teresa of Avila, St. Francis, Henri Nouwen and many others (see pp. 23-27). Willard attempts to intimidate his readers as well by telling them that God’s communication in this way to early Christians was a normal experience (pp. 70, 119) (which it wasn’t), that if we are not hearing from God it may be that we are out of tune with Him (p. 90), and that the Bible and the church are inadequate for developing a personal relationship with God (pp. 140, 186). Willard teaches many theological errors as well. For example, as might be expected the author has a low view of Scripture. He believes the Bible is God’s inspired written word given to “provide us with a general understanding of God to inspire and cultivate a corresponding faith” (p. 87). But if we want to find out what God is saying to us personally we must go beyond the Bible (p. 218). Further Willard warns us of what he calls “Bible deism,” which is the view that God communicates to us today through Scripture alone (p. 142). As a matter of fact the Bible may prove a deadly snare: “We can even destroy ourselves by Bible study; specifically, by the study of Paul’s epistles” (p. 187). And even if the Bible is inerrant in the original texts it “does not guarantee sane and sound, much less error-free, interpretations” (p. 185). Willard clearly has a postmodern understanding of Scripture (i.e. it can never be rightly understood apart from God’s present-day communications) (p. 185). In conjunction with this view of Scripture is the idea (wrongly drawn from Luke 17:7-10) that an obsession to obey God “may be the very thing that rules out being the kind of person that He calls us to be” (p. 14). • God plans His life around us (p. 47). • We become the royal priesthood of God when we have learned to hear from God (pp. 69-71). • Similarly we become the temple of God through the same means (p. 76). • As well, we do not start the Christian life as the slave of God, we become His slave in time through a maturing process (p. 77). • Based on Colossians 1:19-29 he believes the resolution of the world’s problems, although finalized at Christ’s return, begins now (p. 75). • The gospel is not reconciliation to God by faith but, “The good news that the kingdom rule of God is available to humankind here and now” (p. 202, cf. pp. 203-204). In order to learn to hear the subjective voice of God, Willard recommends the use of lectio divina, which is custom made for this imaginative endeavor. As a result a co-writer provides six lectio exercises to pave the way (pp. 48-51, 104-105, 132-133, 165-166, 208-209, 247-250). The ultimate goal in all of this is to have the mind of Christ (pp. 71-72) which means to Willard that “we understand what God is doing so well that we often know exactly what God is thinking and intending to do” (p. 71). The danger of Willard’s imaginative teachings on hearing from God through an inner voice can hardly be exaggerated. Rather than turning people to the inspired authoritative Scriptures for God’s word today, Willard turns us toward the subjective, unreliable self. The result is a people who believe they have heard from God even as they turn from the Word of God itself. In researching Quakerism and the Evangelical Friends, I’ve come across a number of discernment articles revealing how Spiritual Formation pioneer (and Evangelical Friend) Richard Foster has promulgated the heretical “Inner Light” teaching of Quakerism’s founder George Fox. Apprising Ministries has long been warning you about the danger of listening to neo-Gnostics like Living Spiritual Teacher and Quaker mystic Richard Foster. For years now Foster, along with his his spiritual twin Dallas Willard, has been teaching corrupt Contemplative Spirituality/Mysticism (CSM) under the guise of so-called Spiritual Formation. But what we’re actually dealing with is really a romanticized version of Roman Catholic Counter Reformation spirituality. What you’ll hear Foster teaching is classic Quaker doctrine, which is itself, right in line with classic Gnostic mysticism with its fantasy of “the divine spark” of God within all of mankind. Since this isn’t the subject of this piece I’ll simply tell you that in John 14:6 Jesus tells us that He is zoe and the Bible teaches one receives the gift of zoe [aka eternal life] is given only by God’s grace alone; through faith alone, in the finished work on the Cross of Christ Jesus alone. In other words, by believing the Gospel of repentance and forgiveness of sins in Christ’s name. In this blog about the history of the Evangelical Friends Church International (EFCI), particularly the EFC-ER (formerly Ohio Yearly Meeting), I wrote that Quakers from George Fox through the Orthodox Friends [before Gurney’s missionary visits to America circa 1854] were not born again – in spite of what Evangelical Friends have been taught. Evangelical Quakers/Friends – Traditionally, “evangelical” refers to Quakers/Friends who believe in being born again (see John Chapter 3), accepting Christ as Saviour and Lord. They come to Christ by conversion. Traditionally they oppose George Fox’s heresy of the Inner Light/the Light of Christ in every man. In fact, in 1877-1879 Ohio Yearly Meeting of the Gurneyite/Evangelical Friends made an official statement condemning the Inner Light teaching. Evangelical Friends held tenaciously to Wesleyan Holiness teachings between approximately 1854 (with the influence of John Joseph Gurney) and 1965 (when Ohio Yearly Meeting joined the Evangelical Friends Alliance – now the EFCI). The height of Wesleyan Holiness doctrine in OYM, in its most born again “fundamentalist” form, was between approx. 1892-1942. 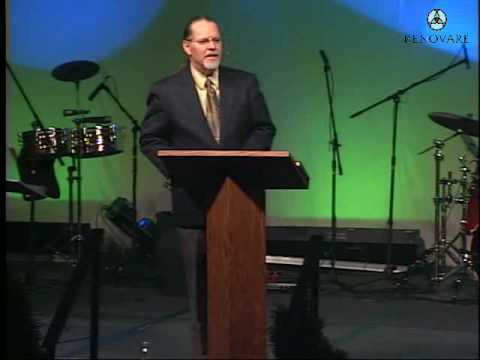 Historically, OYM (now EFC-ER) was the most biblically sound/ fundamentalist/separatist of the Evangelical Friends Yearly Meetings (now referred to as Regions of the EFCI-NA). Unfortunately, following the lead of Northwest Yearly Meeting of the EFCI-NA, many Evangelical Friends today are open to ecumenical ties with non-evangelical Quakers/Friends (as defined below). Also, following the lead of Northwest Yearly Meeting, they are becoming increasingly involved in Richard Foster’s Spiritual Formation as well as Brian McLaren’s postmodern (Emerging/Emergent) teachings. (Both Foster and McLaren – and many other postmoderns – have taught/preached in Northwest Yearly Meeting’s churches and schools.) Like many so-called “evangelical” denominations today, the EFCI is leaning further and further away from biblically sound, born again, “fundamentalist” Christian doctrine. Non-evangelical Quakers/Friends – They oppose the concept of being born again, believing in Christ as Teacher and Lord. They come to Christ by convincement. They do believe in the Inner Light/the Light of Christ in every man. Non-evangelical Quakers/Friends include many ungodly groups, including extremely far left liberal Quakers, LGBT Quakers, Christian universalist Quakers, “nonchristian” universalist Quakers, New Age Quakers, Buddhist Quakers, etc., even atheist (nontheist) Quakers. Most of these non-evangelical Quaker groups believe in the Inner Light, “Christ in every man” – a concept that fits in very neatly with today’s New Age teachings of “Christ consciousness“, “the cosmic Christ”, etc. Non-evangelical Quakers/Friends comprise a number of denominations. In the repost below, I have emphasized certain points by bolding, and inserted comments in [brackets]. I should point out that Dr. Napier and I come from different vantage points theologically, but we reach the same conclusion: most Quakers (including George Fox and other early Quakers) were/are not born again. Quakers – Are They Christians or are they members of a cult? Some readers will say “What a stupid question! Of course Quakers are Christians!” Almost all Believers will say this. But, is it true? To put it bluntly, it does not really matter what your opinion is on the issue. Come to that, it does not matter what my opinion is, either! In fact, the same principle applies to all Biblically-based truths. What matters is WHAT GOD SAYS IN HIS WORD. God’s word is declared with authority. It is never offered as a possible answer, but as THE answer. And this is the way we must always approach the question of whether or not somebody (or a group) is Christian. In other words, what God says is law. If we say something different to that law, then what we think is irrelevant, if not sinful. With that in mind: are Quakers Christians? If they are not, then Quakerism is a cult and Quakers are cult members. Quakers are usually represented on major Christian committees, but that is no guarantee of their Christian status. In this brief paper, we will show that mainstream Quakerism is not Christian, but is a cult. (There are other forms of Quakerism, which claim to be Christian and which would disassociate themselves from the Quaker beliefs mentioned here. [Sentence omitted from repost-DM (1).] They would also not accept the doubts [about Quakers being Christians] expressed in this paper). The founder of Quakerism, George Fox, did not set out to call his followers ‘Quakers’. His concern was with the falsity and stagnation within the churches of his day. So he traveled Britain warning people of their spiritual danger. A problem arises because we cannot be all that sure about his personal salvation or about his real motives. For example, in his own writings he refers to the ‘light (of God) in every man’, but does not appear to differentiate the saved and the unsaved. When he talks about being saved and unsaved, it seems he is saying that to be saved is more or less a matter of not doing bad things (a particular strain of Arminianism). At other times, he appears to talk in orthodox gospel terms. The confusion may just be in the way I have interpreted the work of Fox, though I do not think so, for a similar confusion of ideas seems to run throughout Fox’s writings. There are other problems with what Fox does and says, as even some Quaker writers have admitted. In mainstream Quakerism, few Quakers believe in the need for Biblical-salvation. This is because few of them accept the reality of Satan, or of sin. Obviously, if there is no sin, there is no need for salvation! To many Quakers, ‘sin’ is merely a vestigial remain within a man which can be removed by doing good. Satan is said to be a figment of the imagination and Jesus Christ is said to have been just a very good man. With this as a basis, there is no need to repent either! If we do not sin, then what is there to repent of? As for the Bible, well, individual Quakers may take it or leave it. However, some Quakers may, if they wish, read certain texts at their meetings, just for ‘inspiration’. The Bible is viewed as merely one of many books of inspiration. Any ‘uplifting’ piece of literature will do, even that of a pagan Roman emperor known for his savagery against early Christians! Modern Quakers specialise in doing good works and encouraging peace initiatives. This they see as of vital importance. Many are archetypal New Agers for they mix their good works/peace ideas with ancient Eastern beliefs and all kinds of esoteric/occult teachings. (Note: ‘Many’ not ‘all’!). Those who call themselves ‘evangelical Quakers’ complain when they are referred to as ‘cult members’. This is a problem of their own making. Even if they are real Believers, they have no business being amongst those who are predominantly unbelievers. The Bible clearly tells us we are to mark those who pretend to be of God but who, by their actions and words, defy Him. We are told that we must separate from them immediately and must then shun them. The reason for this is that their beliefs and teachings are ‘works of darkness’, inspired by Satan, corrupting the best of men. [Sentence omitted from repost-DM (2).] If they wish to be known as ‘Christians’ then they must leave and stop affiliating with a known cult. Thus, for a saved person to be a part of Quakerism (or any other cult) which, by definition, is predominantly evil, is to oppose God’s commands. There is no reason whatever for a Believer to be known by any other names than those found in scripture e.g. ‘Believer’ or ‘Christian’… for any other title is superfluous. Indeed, to be called by the title ‘Quaker’ is to indicate one’s real loyalty, a loyalty to a man-made organisation and not to the authentic relationship between a person and God which has been effected through the salvation given by Jesus Christ. In a very real sense, then, the movement/denomination of ‘Quakerism’ is a foe of the Gospel and of Jesus Christ, whether ‘official’ or Arminian. Do not be misled by its outward show of goodness. As for genuine Believers in the Quaker camp – they must come out from it! There is no alternative for a Believer. (1) In the omitted sentence, Dr. Napier states that Evangelical Friends are heretical because they are Arminian (he opposes even the milder forms of Arminianism held to by Evangelical Friends). With all due respect to Dr. Napier, I view this differently. I would say Evangelical Friends are heretical because they are New Evangelical (since approx. 1942), ecumenical with non-evangelical Quakers (since 1970), contemplative (since Evangelical Friend Richard Foster’s bestseller was published in 1978), and Emerging/Emergent (since the early 1990s, particularly in Northwest Yearly Meeting). Greetings! I was searching for articles and blogs about the heresies of George Fox and other Quakers. I grew up in the Evangelical Friends denomination (EFCI). I now have a blogsite critiquing and exposing their many heresies. BTW, I see you mentioned Arminianism as cultic. I would have to agree. Growing up Wesleyan-Holiness, I do see the problems in Arminianism, which is more extreme than the Wesleyan-Holiness movement. What exactly are the heresies of Richard Foster, and why are they so dangerous? And what is the connection between the heresies of Foster and the heresies of Quakers? Ken Silva explains the connection in the article I’ve reposted below. Click here for Silva’s original article. Richard J. Foster (Quaker) — Richard is the founder of RENOVARÉ and author of six books including Celebration of Discipline, PRAYER: Finding the Heart’s True Home, and Streams of Living Water which effectively promote personal spiritual renewal. From his base near Denver, Colorado, where he and Carolynn, his wife, live, Richard travels throughout the world, speaking and teaching on the spiritual life. (Online source). Perhaps the best known Quaker in the world today is Richard J. Foster, although many are at most dimly aware that he is associated with the Religious Society of Friends. He is clearly one of the leading contemporary writers and speakers on Christian spirituality. While maintaining his ties with Friends, Foster deliberately speaks to a much broader audience. Richard J. Foster is the founder of RENOVARÉ, an international, ecumenical Christian organization working for the renewal of the Church of Jesus Christ in all her multifaceted expressions. Members are dedicated to following the powerful movement of the Spirit of God by bringing together the best spiritual treasures of several great Christian streams of faith and witness… Foster is an Evangelical Friend, one of the Quaker groups. If you go back and just read the hightlighted within that section above it will show you where one needs to focus to see through the EFCI redefined evangelical double-speak. I cover this in excruciating detail in Contemplating the Inner Light of the Quakers (Pt. 2) so all I’m going to do here is draw your attention to a couple of key points as it concerns the warped theology of Richard Foster. To be a Quaker is to follow the movement—regardless of what window dressing you may later add to, or subtract from, it—begun through George Fox in England in the mid-1640s, as allegedly the restoration of genuine Christianity. I heard a voice which said, “There is one, even Jesus Christ, that can speak to thy condition”: and when I heard it, my heart did leap for joy. Then the Lord did let me see why there was none upon the earth that could speak to my condition, namely, that I might give Him all the glory; for all are concluded under sin, and shut up in unbelief, as I had been, that Jesus Christ might have the pre-eminence, who enlightens, and gives grace and faith and power. Thus when God doth work, who shall let it? Note here that Fox is claiming God spoke to him directly’ and this apart from any “book, or writing,” and what is more he “infallibly knew” this revelation was of the Holy Spirit. Ah—one would have to say this doesn’t exactly give anybody much room to disagree, eh. “Thus saith George”—oops, make that God; or um, maybe it really was just George after all? Had you been one of the ones Fox approached with this revelation how would you have known if what he claimed was of God or not? Hint: B-i-b-l-e.
Well, it’s about time for you to awaken from your snooze now because Richard Foster is teaching the same stupid doctrine of ol’ “Inner Light” George Fox who was so special to the LORD God Almighty that He would even have personal chats with him. In fact, Foster’s been teaching his apostate refried Roman Catholic and Quaker mysticism in your evangelical seminaries for years so now he’s got plenty of evangelical pastors as his deluded disciples—maybe even yours. Next time I’ll document—again—what this doctrine of the Inner Light actually is. But for a little preview we’ll turn to a book called The Living Testament: The Essential Writings of Christianity Since the Bible (TLT). In fact the reason I went and acquired a copy of TLT is because it’s even recommended by Guru Foster himself in his classic textbook of ascetic-lite neo-pietism Celebration of Discipline. George Fox (1624-1691) was the founder of the Society of Friends (Quakers). He preached reliance on the “Inner Light”, the Holy Spirit watching from within; in this he represented a development of the Puritan “spirit mystic” tradition. He believed that everyone has a divine spark within that can respond directly and personally to God. His plain open style has a peculiar force in enthusiasm and moral earnestness. But as you’ll see in more depth next time this false idea of an inner light, or a “divine spark,” is a very key issue to grasp before one can come to understand the root of the flawed semi-pelagian “gospel” preached by much of mainstream evangelicalism within which Foster has now become a major player. I cover this spiritually fatal idea of “a spark of the divine” allegedly inside all of mankind further in The Emergent “One” and Understanding the New Spirituality: God Indwells Mankind.